See also "GENERAL LIST OF ITEMS MOST NEEDED" below. Honor Gifts - Give a monetary gift to Loving Arms in honor of a loved one. 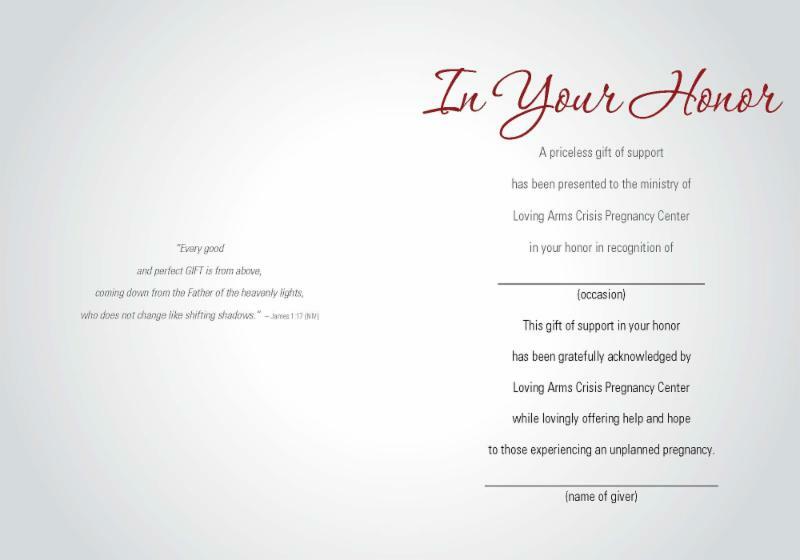 Honor cards are available at the Center for you to present to each of your loved ones notifying them of your gift in their honor. The honor will be mentioned in our next printed newsletter. 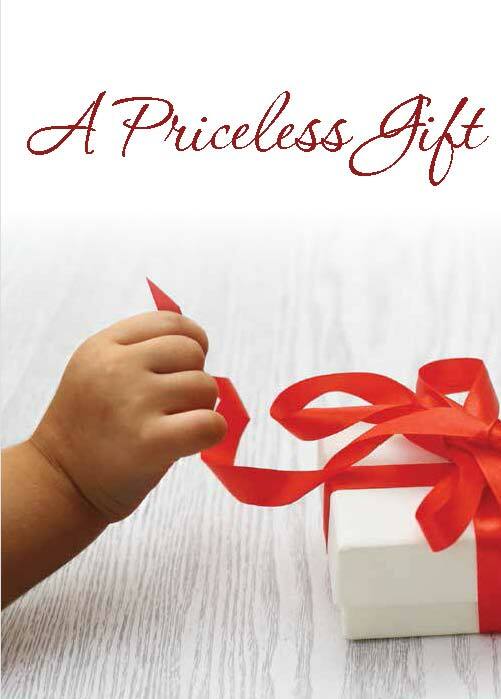 Memorial Gifts - Give a monetary gift to Loving Arms in memory of a loved ones. If you desire, we can notify someone via written correspondence of your gift made in a loved one's memory. The memorial will be mentioned in our next printed newsletter.